Brides and grooms spent an average of $28,427 on their weddings in 2012 -- the highest amount since 2008, according to an annual survey of nearly 17,500 brides by TheKnot.com and WeddingChannel.com. 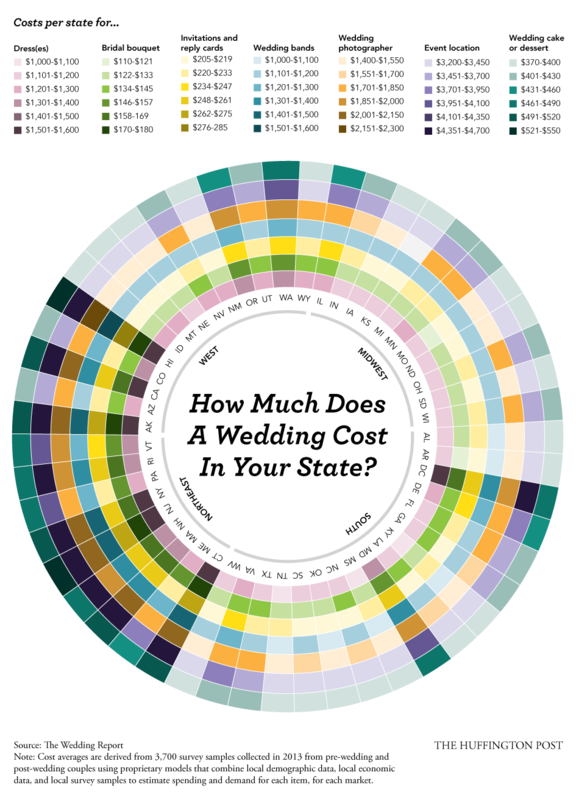 That cost varies from state to state, of course, with couples in New York City spending the most -- a whopping $76,687, on average -- and Alaskan brides spending the least ($15,504). But what's contributing to those price tags? The Wedding Report, a research company that tracks consumer trends and provides statistics for the wedding industry, offers some insight. Check out the graphic below to see where your state is splurging and scrimping.